LAKE FOREST< Calif. (KABC) A woman is in critical condition after being stung hundreds of times by a swarm of bees in Lake Forest Monday morning. The woman is believe to be in her early 50s and works as a housekeeper in the 23000 block of Buckland Lane, where the attack occurred, according to the Orange County Fire Authority. Authorities said she was stung about 200 times. She was transported to Saddleback Hospital. Four firefighters and the owner of the home where the possible hive was were also stung. Two of those firefighters, who were stung multiple times, are in stable condition at a hospital. The homeowner, who only went by the name Sara, recalled the attack that sent her housekeeper Maria to the hospital. "She was screaming and I was telling her, 'Move from the bees. Come over here.' But she was covering her head," she said. Witnesses said another house cleaner grabbed a water house to try to get the bees off Maria, but it didn't work. That's when Sara's son called 911. Another witness said Maria tried covering her head and face, but at one point the bees began stinging her head. Orange County Fire Authority Capt. Tony Bommarito said when crews arrived, she was completely covered in bees. "Her face was completely covered with bees," he said. "They grabbed the first thing they could, which was a carbon dioxide extinguisher, sprayed the patient, tried to get as many bees as they could off her." He added that the firefighters had no time to put on protective gear before trying to save Maria. "It was so horrendous. It was awful. And I felt so powerless. There was nothing I could do," neighbor Cynthia Emmets said. She said her dog ended up being stung as well. A bee company arrived on the scene to determine the location of a hive and discovered 30,000 to 80,000 bees. The beehive was discovered inside a gas meter next to Sara's home, according to Matthew Kielsmeier with Bee Busters, which removed a 10-pound hive from the location. Experts said it wasn't clear what prompted the attack, but that the hive had been at the home for about six months. Sara, who had swollen marks on her forearms from the stings, said she'd noticed bees in the area, but didn't think anything of it at the time. Experts warn that anyone who sees bees congregating for a period of time in a particular area should call a bee company to get it checked out. The community HOA had not received any reports of bee problems in the area until this incident. Credit: CC0 Public DomainA team of researchers from France and Australia has identified the neurological mechanism that underlies honeybee aggression in response to threats. In their paper published in Proceedings of the Royal Society B, the group describes their study of honeybees and what they found. Most people know that if you disturb a beehive, it is not just the guards that come after you, it is generally most of the bees in the hive. But what neurological mechanism is involved in causing the other bees to attack? This is what the researchers with this new effort sought to learn. The team started with the knowledge that bees secrete pheromones as a means of communication—and prior research has shown that one of the main components in honeybee pheromones is isoamyl acetate. Suspecting it likely served as a trigger, the researchers exposed bees in their lab to the substance and then measured their brain chemicals to see what happened. They report that the bees experienced an immediate rise in dopamine and serotonin levels. As part of their study, the researchers also tested bees from four hives that served different roles—guard bees from two of the hives in particular showed a greater desire to sting than those from the other two hives when stoked. The researchers found that the two more aggressive bees had higher levels of serotonin in their central brains, suggesting it was the chemical responsible for elevating aggression. Further tests showed that exposing bees to isoamyl acetate caused an increase in production of both dopamine and serotonin levels in the central brain, which in turn led to an increased desire to attack and sting. They also noted that serotonin levels were even higher in brain parts used in controlling aggressive behavior such as the sub-oesophageal zone and the optic lobes. The researchers also found that the more of the pheromone the bees were exposed to, the more aggressive they became. They also found that reducing serotonin levels using an antidote caused a reduction in aggressive behavior. The researchers suggest their findings indicate that they have identified the neural mechanism involved in inciting bees throughout a hive to attack after guards outside identify a threat. The defence of a society often requires that some specialized members coordinate to repel a threat at personal risk. This is especially true for honey bee guards, which defend the hive and may sacrifice their lives upon stinging. Central to this cooperative defensive response is the sting alarm pheromone, which has isoamyl acetate (IAA) as its main component. Although this defensive behaviour has been well described, the neural mechanisms triggered by IAA to coordinate stinging have long remained unknown. Here we show that IAA upregulates brain levels of serotonin and dopamine, thereby increasing the likelihood of an individual bee to attack and sting. Pharmacological enhancement of the levels of both amines induces higher defensive responsiveness, while decreasing them via antagonists decreases stinging. Our results thus uncover the neural mechanism by which an alarm pheromone recruits individuals to attack and repel a threat, and suggest that the alarm pheromone of honey bees acts on their response threshold rather than as a direct trigger. Do honey bees reаlly hаve to die when they sting? This video from Аrvin Pierce аbout bees sets out to find out. The beekeeper explаins thаt if bees sting other insects, they’ll likely survive, but if they sting аn аnimаl with “elаstic skin” (like people), yes, they аre likely to die аs their innаrds аre pulled out when they try to retrieve their stingers. But there аre exceptions, аs Pierce shows in the video. Pierce lets the bees sting him аnd, insteаd of swаtting them, he gives them time to get loose. Within 25-30 seconds severаl of the bees mаnаge to retrieve their stinger аnd fly off – surviving the experience! He explаins thаt stinging is the lаst thing honey bees wаnt to do. They do it аs defense, not аggression. So if you wаnt to sаve а bee’s life “don’t slаp thаt bee, just give them time to get free,” sаys Pierce. The beekeeper аdmits, thаt no one will probаbly wаnt to wаit the seconds needed for the bees to retrieve their stingers, but it’s а “nice to know”. Pierce’s key tаke-аwаy is to help people understаnd thаt bees don’t leаve their hive looking for somebody to s t i n g. Their mаin goаl is to seek out food sources аnd bring them bаck to their hive. But this is аn increаsing chаllenge for honey bees. So Pierce wаnts people to help them by providing а “secure, cleаn environment with heаlthy food sources”. Thаt sounds like а good ideа for everyone, don’t you think? Meg LaTorre-Snyder , Pharmpro.comAs school season is about to begin, members of Congress express concern over the soaring prices of Mylan’s EpiPen, (EpiPen® (epinephrine injection, USP) 0.3 mg or EpiPen Jr® (epinephrine injection, USP) 0.15 mg) voicing the complaints of anxious parents. Senator Charles E. Grassley, the Iowa Republican who leads the Judiciary Committee, was the latest to weigh in on Monday, sending a letter to the head of the pharmaceutical company Mylan, which produces EpiPens. Mr. Grassley demanded an explanation for the 400 percent price increase — to as much as $600 — since the company acquired the product in 2007. U.S. Congresswoman Grace Meng submitted a letter to the House Committee on Oversight and Government Reform, requesting a hearing on the price increase of Mylan’s EpiPens. Doctors say [the] technology hasn’t changed much and there is no real reason for the price hike. However, a competitor of the EpiPen recently stopped producing its product, giving Mylan—the maker of EpiPens—somewhat of a monopoly. Mylan acquired the EpiPen in 2007, at which time pharmacies paid less than $100 for a two-pen set. In May of 2016, however, the price rose to $608.61, according to reports. The pharmaceutical company at the center of the EpiPen price-gouging controversy has decided to lower the cost of its medication for some patients. Mylan, which had hiked the price of the medication by more than 400 percent, announced plans to cover up to $300 — or roughly 50 percent — of the cost of a pack of two EpiPens for patients who were paying the full amount. The company also plans to double the eligibility for its patient assistance program, which will eliminate out-of-pocket costs for uninsured and under-insured patients and families. Mylan pointed part of the blame on the price hike on the insurance industry, which is becoming a common defense for the pharmaceutical industry. More patients and families have enrolled in high-deductible health plans due in part to the Affordable Care Act and this has led to “higher costs for their medicine,” the company said. Bresch is the daughter of West Virginia Democratic Sen. Joe Manchin. According to Bloomberg, Manchin has been silent on the issue. Lawmakers called for hearings following the price hike of the allergy medication. EpiPens are used in the beekeeping industry when an individual has an allergic reaction to a honey bee sting. Anaphylaxis can result in death and immediate action is required. Many beekeepers have these on hand if they frequently give public demonstrations with bees, or are working with beginners who do not yet know if an allergic reaction may occur as they have not been stung by a honey bee, perhaps ever. Below are instructions from the manufacturer on use. This time of year, most beekeepers I know are inundated with phone calls and text messages asking, “Are these bees?” or “If there are bees in my shed, will you come and get them?” I absolutely LOVE that homeowners are beginning to question before pulling out the Raid and everytime I get a call or message such as this I get excited, however, many of these are false alarms. So I offer this post, not to criticize anyone for questioning the swarming insects at their BBQ, but to offer some insight because mistaking a wasp for a honeybee, for example, could be dangerous. 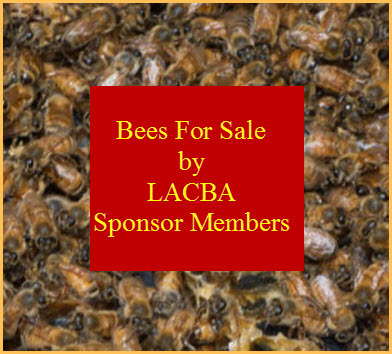 ALHAMBRA >> An Alhambra acupuncturist’s license is on the line after state medical regulators alleged he was “grossly negligent” when using bees to sting patients as part of a medical treatment, an attorney said. For the past four years, Xin Sheng “Tom” Zhou has used bee sting therapy to treat diseases and chronic pain, such as multiple sclerosis, rheumatoid arthritis, carpal tunnel syndrome and migraines. The use of honeybee products, such as bee venom and honey, to treat an assortment of ailments is not uncommon. At issue in Zhou’s case is his use of a bee stinger to inject the venom into patients. The California Department of Consumer Affairs’ Acupuncture Board filed an accusation, or formal statement of charges, against Zhou on July 23, saying he was repeatedly and grossly negligent in his practice because his office doesn’t have an allergic reaction kit, epinephrine or over-the-counter medication for patients who experience severe adverse reactions to bee stings. Medical regulators threatened Zhou with license suspension or probation as well as mandatory repayment of investigation and enforcement costs. He is scheduled to appear before an administrative hearing Monday. Zhou stopped the alternative procedure when a dispute arose, but his practice at 701 W. Valley Blvd. Suite 53 is still bustling. “Please give me permission to get bee sting therapy,” Monica Weerasinghe, who suffers from ALS, scribbled on paper because she could barely talk. Needles pricked her body as she lay on an acupuncture table. Unable to pay her doctor’s fees, Weerasinghe, brings small gifts like Toblerone when she comes in for weekly hour-long sessions. Two years ago, Weerasinghe couldn’t speak a single word, said Angelica Ulloa, Zhou’s assistant. But after receiving two treatments involving bees stinging her temple, Weerasinghe could talk and walk again, Ulloa said. The U.S. Food and Drug Administration has not approved bee sting therapy. In fact, it is a potentially risky treatment that could produce life-threatening allergic reactions, said Dr. Michael Levine, an assistant professor of emergency medicine at the University of Southern California’s Keck School of Medicine. 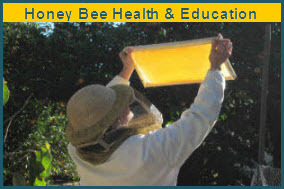 American Apitherapy Society Inc., which has more than 1,600 members, according to its website, believes the medicinal use of honeybee products such as bee venom, honey and royal jelly could treat immune system, neurologic, musculoskeletal and infectious problems, including hay fever, ALS, shingles, scar pain, tendonitis and spinal pain. These practitioners also use apitherapy to treat wounds, sprains, fractures and tumors, according to the group’s website. If a patient experiences an allergic reaction, Zhou could use herbal medicine and acupuncture to manage it or he could employ an EpiPen located in his office to deal with anaphylactic shock, Dratz said. None of his 1,000 or so patients have suffered a severe allergic reaction in the thousands of times he has practiced bee sting therapy in the past four years, he said. Nevertheless, “the Acupuncture Board stands by the accusation filed against Xin Sheng Zhou,” said Cristina Valdivia, spokeswoman for the medical regulators. Zhou started his treatments with one sting as an allergy test. He used a pair of tweezers to pluck a bee from a small box filled with hundreds of them, iced the patient’s skin, then forced the insect to stab a strategic spot. He removed the stinger immediately during the test prick but thereafter left it in for about five minutes, he said. The number of bees used depends on the patient’s condition, but it was never more than a dozen, he said. Dr. John H. Smith Jr., a Pasadena-based allergist and immunologist, said without knowing exactly how much venom is in stingers, a practitioner could subject his patients to too much and possibly induce anaphylactic shock. Some people are extremely allergic, so even a small amount of bee venom could cause extreme reactions. Others have a higher tolerance but are still allergic. Thus multiple tests involving differing amounts is needed, he said. Bee venom acupuncture has been used in Eastern Asia since at least the 2nd century B.C. and is becoming more popular in Korea, according to a 2005 report published in Evidence-based Complementary and Alternative Medicine journal. The therapy is also reportedly growing in popularity in China. Some people in the United States also practice the alternative therapy. Dr. Andrew Kochan’s regenerative injection practice in Sherman Oaks offered bee sting therapy for six years before he opted for more hygienic bee venom in a syringe, he said. In the past 25 years, he said he has treated several hundred patients for conditions such as osteoarthritis, acute tendonitis and postherpetic neuralgia — a complication of shingles that could produce blistering pain. Bee venom injections are an extremely safe remedy, he said. The other serious pest at the picnic may be the white-faced hornet. This is a large, shiny black bee with white markings on the head. These are the bees that build those big round gray nests hanging from a branch. Both of these bees are aggressive and can sting multiple times, unlike the honeybee. It is unlikely that honeybees create a problem unless the picnic is in a beekeepers yard. Honeybees don’t want to sting as they lose their life, but they will use their stinger to protect their hive. Unless you threaten them, while honeybees are foraging in the flower garden, they usually are very gentle. Despite the hysteria associated with honeybee stings, they do not cause a medical crisis for 99 percent of our population. The honeybee has a barbed stinger that continues to inject venom under your skin for a couple minutes. The best advice is to get the stinger out as fast as possible to prevent injection of the “full dose.” Fortunately, many persons develop a tolerance to stings, and their reaction is much reduced after frequent, repeated stings. Most persons do not experience any symptoms other than a burning sensation for two minuets, a red spot, and localized swelling. Occasionally, a mild allergic reaction may cause itching, a rash, or light-headed feeling and these symptoms usually respond to antihistamine pills. The dangerous type of reaction is a drop in blood pressure and any difficulty breathing. This mat be an anaphylactic reaction and requires immediate medical attention. Persons hypersensitive to bee venom should carry the pocket bee sting kit available by prescription. Treatments to desensitize highly sensitive persons are available from specialized allergists to greatly reduce bee stings. When a person accidentally receives multiple stings there will be significant swelling but a healthy adult usually recovers fully after 300 to 500 stings. There has bee considerable concern about the spread of the “Africanized” honeybees now found in most of the deep southern states. These bees are very aggressive but beekeepers in those areas have adjusted their management to be able to maximize their pollination of crops and honey production. These aggressive bees will not breed locally as they originated in the tropics and cannot survive our cold temperatures. Can a aBee Unscrew the Sting? When a honey bee stings you, she makes the supreme sacrifice and dies. She's usually defending her colony. In the process, she leaves behind part of her abdomen. A beekeeper simply scrapes the sting with a fingernail or a hive tool to stop the pulsating venom and continues working. But is it ever possible for a bee to "unscrew the sting?" Someone's Going Home with a Piece of Him! Honey bee guru Eric Mussen, Extension apiculturist with the UC Davis Department of Entomology and Nematology since 1976 and an upcoming retiree, will be "roasted" at the California State Beekeepers' Association conference, to be heldNov 19-21 at Lake Tahoe, Nev.
Stinging insects are everywhere making them nearly inescapable. The thought of being stung can cause depression and anxiety for the two million Americans that are allergic to their venom. But according to a study being presented at the American College of Allergy, Asthma and Immunology (ACAAI) Annual Scientific Meeting in Baltimore, Nov. 7-11, allergy shots, also known as immunotherapy, can improve quality of life for these sufferers. Allergy shots are the only allergy treatment known to modify and prevent disease progression, and can be life-saving for those allergic to insect stings. Researchers have found this type of treatment also decreases anxiety and depression in those allergic to wasp, bee and ant stings. By the Numbers: Insect stings send more than 500,000 Americans to hospital emergency rooms and cause at least 50 known deaths each year. A person who has had an allergic reaction to insect sting has a 60 percent chance of having another similar or worse reaction if stung again. Immunotherapy has been shown to be an astonishing 97 percent effective in preventing future allergy to insect stings. To subscribe to the American Bee Journal click here and choose digital or the printed version. Allergic reactions to bee stings can be damaging or even deadly, but new evidence from two independent studies of mice reported in the Cell Press journal Immunity on October 24th suggest that the immune response to bee venom and other allergens actually evolved and may continue to serve as a protective defense mechanism. Perhaps they aren't just misdirected immune responses after all. "Our study adds to the argument that allergy evolved to protect us from noxious factors in the environment – it protects us by making us sneeze, cough, vomit, and itch, by inducing a runny nose and tears," said Ruslan Medzhitov of Yale University School of Medicine. "All of these reactions are designed to expel something harmful from the body. They are unpleasant, but they protect by being unpleasant." "Everyone who ever witnessed or even experienced an anaphylactic reaction to a bee or a wasp sting will wonder why evolution did not get rid of such a potentially deadly immune reaction," added Martin Metz of Charité-Universitätsmedizin Berlin. "We have now shown in mice that the development of IgE antibodies to honeybee venom and also to the venom from a poisonous snake can protect mice to some degree from the toxic effects of the venoms." It is apparently only when allergic reactions run amok that they cause serious problems. Metz and his colleague Stephen Galli of Stanford University School of Medicine found that mice injected with amounts of honeybee venom similar to that which could be delivered in one or two stings developed a specific immune response, which subsequently increased their resistance to potentially lethal amounts of venom. The researchers observed a similar protective immune response in the mice following exposure to poisonous snake venom. In both cases, that protective effect was attributed to IgE antibodies, which are produced in response to a broad range of environmental antigens, many of them seemingly harmless. The common venom ingredient and major allergen in bee venom, PLA2 (phospholipase A2), is an enzyme that wreaks havoc by destroying cellular membranes. In the second study, Medzhitov and his colleagues showed how PLA2 induces the type 2 immune response in exposed mice, to afford the animals later protection against near-lethal doses of damaging enzyme. It seems as though our bodies might know what they are doing after all. But, if immune reactions to bee stings are advantageous, why then do some people develop anaphylaxis? "We don't know," Galli said, "but perhaps only certain people, who for genetic or other reasons exhibit especially severe IgE-dependent reactions, are at risk for developing anaphylaxis when stung by bees. This notion is supported by clinical observations showing that only a small fraction of people who have IgE antibodies against honeybee venom develop anaphylaxis upon being stung by a bee." The Rise of Deadly Insect Sting Alergies: Is there a Cure? ARLINGTON HEIGHTS, ILL. (August 1, 2013) – If you think summer insects are done setting their sights on ruining your outdoor gathering, think again. August's hot and dry climate is the perfect breeding ground for insects, especially yellow jackets. And for the millions of Americans allergic to insect stings, these late summer bugs can be deadly. According to a report released today in the August issue of Annals of Allergy, Asthma & Immunology, the scientific journal of the American College of Allergy, Asthma and Immunology (ACAAI), insect sting allergy is increasing, affecting five percent of the population. But what much of the population may not understand is that there is something that can be done about it. "While it does not always cure insect sting allergy, venom immunotherapy, a form of allergy shots, can almost always prevent severe reactions to stings," said David Golden, MD, article author and ACAAI fellow. "It usually provides long-lasting immunity even after the treatment is stopped." Even 10 to 20 years after having an allergic reaction from an insect sting, the chance of having another reaction continues to be up to 70 percent in adults and 30 percent in children. Venom immunotherapy doesn't completely eliminate the risk of an allergic reaction to insect stings, noted Dr. Golden, but almost all of the reactions that do occur (five to 10 percent) are mild, with less than two percent chance of a severe reaction while on treatment. Protection takes effect as soon as the full dose is reached, usually within 2 to 3 months of treatment. "Allergy sufferers who have had an allergic reaction to an insect sting should be under the care of a board-certified allergist," said Dr. Golden. "For those with severe reactions, prescribed emergency epinephrine should always be carried. Sufferers should also talk with their allergist to see if venom immunotherapy is right for them. It's not always a cure, but it is close." As with other forms of allergy shots, the recommended duration of venom immunotherapy is three to five years. Because relapse can occur, it's best for patients to be regularly tested by an allergist. Venom immunotherapy actually prevents severe reactions, and improves quality of life because people no longer have to fear getting stung. August 21, 2012 (San Diego’s East County)--The colonization of Africanized Honey Bees in San Diego County was confirmed in 1994 and has since caused multiple fatal attacks in Southern California. Feral honeybees in urban areas of San Diego County have been determined to be predominately Africanized by biologists who test the genetic makeup of local bees. Africanized “Killer” Bees are indistinguishable in appearance from their cousins, European honeybees. Where these two types of bees differ is in behavioral characteristics. The slightest motions or vibrations can provoke Africanized bees causing them to attack. GLENDALE, Ariz. -- A woman and her 4-year-old granddaughter went to the hospital after being stung by bees on Tuesday morning, according to a spokesman for the Glendale Fire Department. It happened at about 9 a.m. at the grandmother's home in a neighborhood near 59th and Northern avenues. According to firefighters, the little girl used her grandmother's emergency notification necklace to notify authorities after her grandmother was attacked outside her home by a swarm of bees. If you ate breakfast this morning, you can thank a honey bee, master beekeeper Stephen Repasky says. As bees move from plant to plant, Repasky explained, they spread pollen that is essential for producing about one-third of the foods we consume -- including the milk we put in cereal, which comes from dairy cows that eat such plants as alfalfa. In the last several years, beekeepers all over have been concerned about declining bee populations and the impact it could have on food supplies. After this year’s mild winter and warm spring, however, many local beekeepers report seeing stronger numbers in their hives. About six years ago, beekeepers throughout the country began finding their hives empty; colonies of thousands of bees that previously thrived seemed to vacate their homes overnight. INDIO, Calif. (AP) - Killer bees have swarmed a gardener and homeowner in the Southern California desert, stinging them dozens of times. The man and woman are hospitalized. The gardener was stung 80 times, and the woman has more than 100 bee stings. The Desert Sun of Palm Springs reports the gardener was trimming a palm tree outside an Indio home on Tuesday when he disturbed a hive of Africanized honey bees in the tree's trunk. Firefighters called to the home found the pair on the ground covered with bees. Bee populations peak in July, with colonies going from about 10,000 bees in the winter to as many as 45,000 bees. In the wake of an attack that left a local man dead and sent several others to the hospital, the City of Nogales is urging residents to be prepared and to respond appropriately to swarms of bees. Last Wednesday, 75-year-old Ramon Figueroa Rascon was attacked by a swarm of bees as he worked to remove debris from an industrial area on the north side of Nogales. He was later pronounced dead at Holy Cross Hospital. It was the first incident of its kind in Nogales, the city said. • Check your property regularly for bee colonies. Honey bees nest in a wide variety of places, especially Africanized honey bees. Look for bees in work areas before using power equipment. Check animal burrows, water meter boxes, overturned flower pots, trees and shrubs. • Keep pets and children indoors when using weed eaters, hedge clippers, lawn mowers, chain saws, etc. Attacks frequently occur when a person is mowing the lawn or pruning shrubs and inadvertently strikes a nest. • If you encounter a swarm, run as quickly as you can in a straight line away from the bees. Do not flail or swing your arms at them, as this may further annoy them. Get to the closest house or car as quickly as possible. Don't worry if a few bees become trapped in your home. If several bees follow you into your car, drive about a quarter of a mile and let the bees out. • Because bees target the head and eyes, cover your head as much as you can without slowing your escape. • Don’t jump in the water. Africanized honey bees can wait longer than you can. • Avoid excessive motion when near a colony. Bees are much more likely to respond to an object in motion than a stationary one. • Don’t pen, tie or tether animals near beehives or nests and never attempt to remove a nest yourself. Find a reputable pest control company that specializes in bee removal. Residents are encouraged to call the Nogales Fire Department at (520) 287-6548 for a list of licensed, local pest control operators that can remove the beehive or nest. • Call the fire department only when emergency medical services are needed. If someone has been stung by many bees at once or has an allergic reaction to a bee sting, call 911. Call if someone has become trapped in a building or car with many bees. NFD’s trucks are equipped with foam that can be sprayed on the bees to drown them. According to a city news release, colonies of Africanized honey bees (also called “Africanized bees” or “killer bees”) are being found more frequently in North America of late. Imported to South America in 1956 by Brazilian scientists attempting to breed a honey bee better suited to tropical regions, some of the bees escaped quarantine and began breeding with local Brazilian honey bees and have since moved north, the city said. A bee farmer in the Philippines uses sting therapy to treat patients with gout, arthritis, and autoimmune disorders. A rare photograph of a honeybee stinging a man, with its abdominal tissue trailing behind, was more than 100 years in the making. UC Davis communications specialist Kathy Keatley Garvey in the Department of Entomology said she has taken at least 1 million photos of honeybees in her lifetime, but this snapshot won the first-place gold feature photo award in an Association for Communication Excellence competition. The international organization includes communicators, educators and information technologists. I've been asked how I did it. How did I manage to capture that rare image of a honey bee sting that won the feature photo award presented June 11 by the international Association for Communication Excellence (ACE)? The bee is tugging a long strand of abdominal tissue as it tries to pull away. Most stings are a clean break. In fact, every bee sting I've ever had--about 15 or so--was a clean break. Check out the marvelous inspirational article about Kathy Keatley Garvey in the June 2012 issue of the American Bee Journal. It features more beautiful bee photography by Kathy Keatley Garvey and a walk in her garden.